SilverDollarCityArea-RVParks offer a great variety for camping in Branson, especially if your vacation will be focused on Table Rock Lake activities or Silver Dollar City. 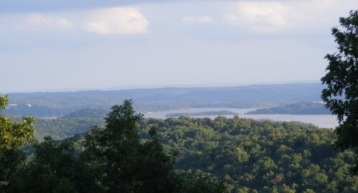 Many of the SilverDollarCityArea-RVParks are located on the Indian Point peninsula that is south of Silver Dollar City. 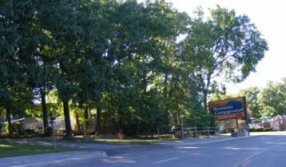 Other Branson RV Parks are located in the forest areas along Hwy 76 and Hwy 265 around Silver Dollar City. Silver Dollar City is one of the premier Amusement Parks in the World. Because of the focus on crafts and pioneer living it is much more than a young person's park. This is a park that Mom, Dad, Grandma & Grandpa will love. 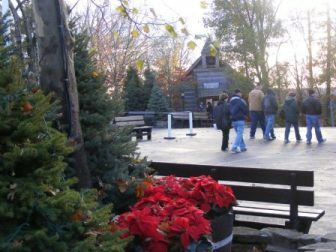 The festivals throughout the year offer a wide variety of entertainment including World-Fest, Bluegrass & BBQ, KidsFest, Southern Gospel, National Harvest Festival and The Old Time Christmas. The SilverDollarCityArea-RVParks in the area add a special dimension as the home base for fun at this great Theme Park. Indian Point is south of SDC with roads off the main road on the left and right. Note instructions for each campground. Please note that when prices are shown for the SilverDollarCityArea-RVParks they are either estimated or previous years prices. Check the individual SilverDollarCityArea-RVParks for current pricing. Directions: From Hwy 76, follow Indian Point 1.1 mile past Silver Dollar City entrance to 2nd road on left (60-D or Jakes Creek Trail). After turning left on Jakes Creek Trail you will quickly turn right to stay on Jake's Creek and continue another 7/10 mile to Antler's Lane and turn left to resort. Directions from Branson West: Hwy 76 east to Indian Point Road 3.1 miles, turn right (south) and follow 2.9 miles to campground. Exit Hwy 476 (Ozark Mountain Highroad?, follow 7.8 miles to Hwy 76. Turn left(west)on Hwy 76 and follow for 1.1 miles to Indian Point Road. Turn left (south) on Indian Point Road and follow 3.1 miles to campground. Directions from the south on Hwy 65: Hwy 265 is 2.8 miles north of Hwy 86, Take Hwy 265 west for about 3.2 miles to tie in with Hwy 165. Continue on Hwy 265/165 for about 4 miles across Table Rock Dam. Hwy 265/165 separate north of the dam. Turn left at light to stay on Hwy 265 and follow for 5.6 miles to Hwy 76. Turn left (west) onto Hwy 76 an follow for .6 miles to Indian Point Road. Turn left on Indian Point Road and follow 3.1 miles to campground. Follow hwy 76 west for 8.5 miles to Indian Point Road, turn left and follow for 3.1 miles. 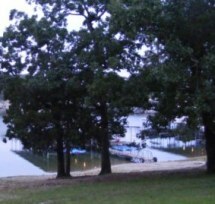 Lakeview is 2 miles south of Silver Dollar City and ½ mile from marinas with boat rentals, docks and fishing. Home to an authentic Cajun Restaurant-"Crazy Cajun Citchen"
Please note that when prices are shown for the SilverDollarCityArea-RVParks they are either estimated or previous years prices. Check the individual SilverDollarCityArea-RVParks for current pricing. They call it the "the Quiet Resort" since it is nestled in the woods and hills west of Branson. Entrance is off of Hwy 76 between the Silver Dollar City Entrance and Branson West. This is a perfect location if you want quiet location, plenty of activities, close to Branson, Silver Dollar City, Table Rock Lake and a central starting point for exploring the Ozarks with a potential for many great Day trips. From US 65 south of Springfield, MO, take Ozark Mountain High Road (Hwy 465) exit. Follow Ozark Mountain High Road (Hwy 465) 9 miles to Hwy 76 (where Hwy 465 ends). Turn left on Hwy 76 at the signal. Turn left on Hwy 265 at the next signal. We're approximately 3.2 miles down on the left. From US 65, left on Hwy 265. Follow Hwy 265 about 3 miles to junction of Hwy 165 and Hwy 265. Stay left on Hwy 265 across the dam. Turn left on Hwy 265 at the signal. We're approximately 2.5 miles down on the right. Of the SilverDollarCityArea-RVParks, the Branson View Campground's location is the only one that has a clear view of Branson. Sitting along the Compton Ridge that separates Branson from Table Rock Lake you can sit back and enjoy a nighttime view of the glistening lights of Branson in a quiet solitude of a beautiful campground. 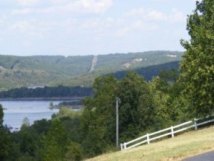 Located on Hwy 265, Branson View Campground is close to Table Rock Lake, Table Rock Dam, Silver Dollar City and of course Branson. 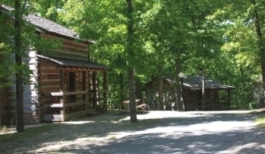 As do many of the SilverDollarCityArea-RVParks, Compton Ridge offers lodging on site along with the campground. 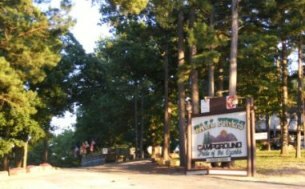 Tucked away in the forest along Hwy 265, Tall Pines campground provides a woodsy privacy as well as convenience to Branson and the whole area. This is a beautiful area to wake up to regardless of the season. Rustic Cabins w/Kitchenette & Fireplace:---$148.00 (peak season & weekends)---Queen bed, daybed w/pull out trundle (2 twins). Sleeps 4 comfortably. Extra charge after 2 adults. Cabin with loft, Kitchenette & Fireplace:---$178.00 (peak season & weekends)--- Queen bed located downstairs. In the loft, 2 full beds and 1 twin. Extra charge after 4 adults. Cabin with loft, Kitchenette, Fireplace, jetted tub & shower:---$188.00 (peak season & weekends)-Queen bed located downstairs. In the loft, 2 full beds and 1 twin. Extra charge after 4 adults.